With the help of our little olive introduction you will raise directly into the league of olive experts. Discover fascinating facts from the world of olive oil. Olive oil basics – How to recognize good olive oil? With olive oil it’s like with wine: Every olive oil tastes differently and there is a wide spectrum of tastes. Your taste decides which olive oil you like. 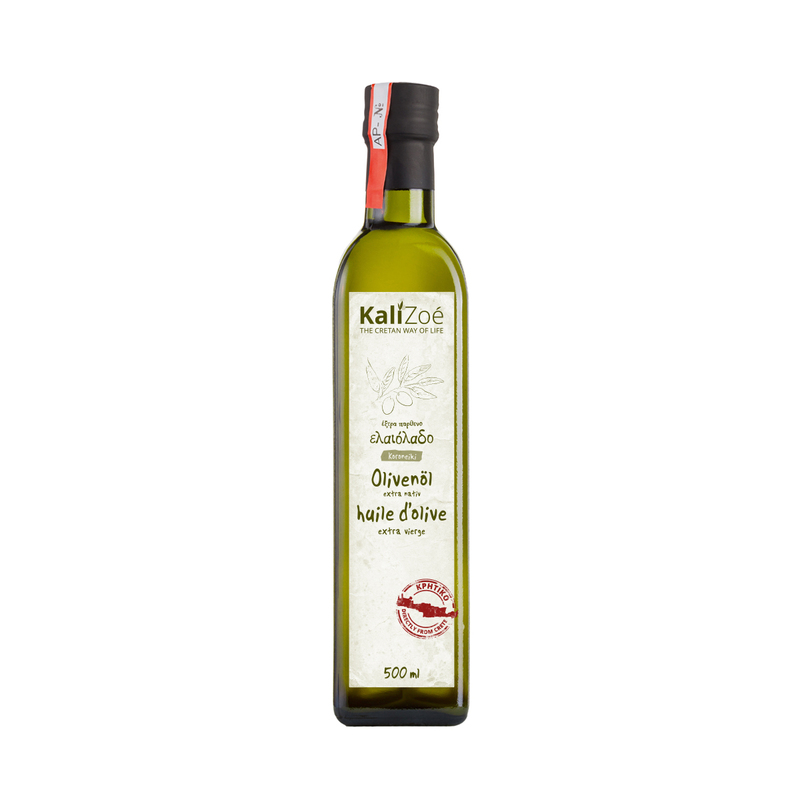 The Small Koroneiki olive allows the production of an olive oil of very high quality. Due to its resistance to most insects, very little of pesticides re used for Koroneiki olives compared to olive olive varieties. There is a definition set by the european union for olive oil categories which helps to define the quality of olive oil for the consumer. 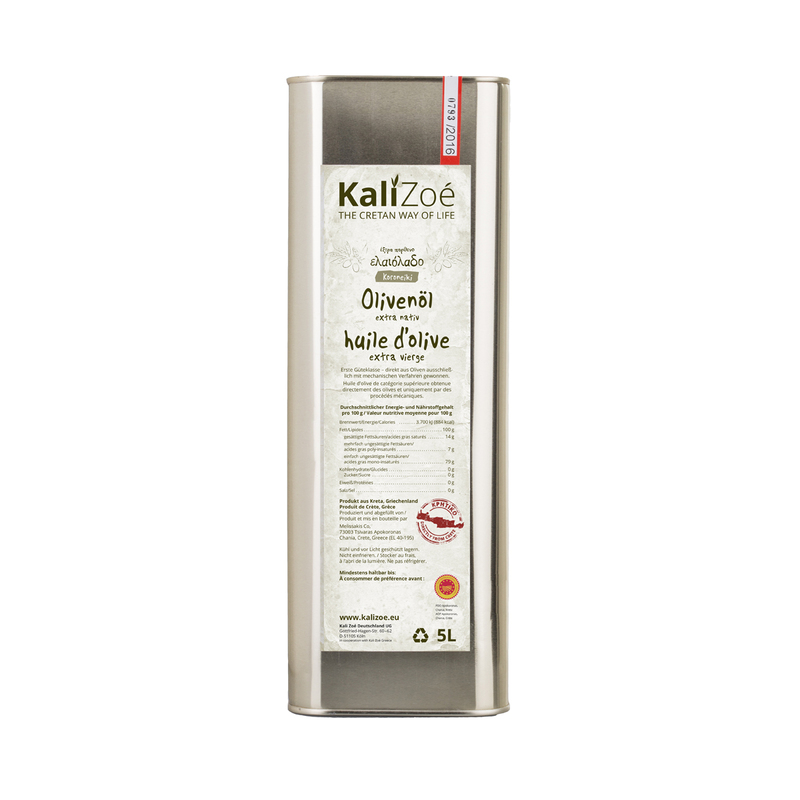 Kali Zoé olive oils are all from Koroneiki olives and are all of the superior category “extra virgin”. 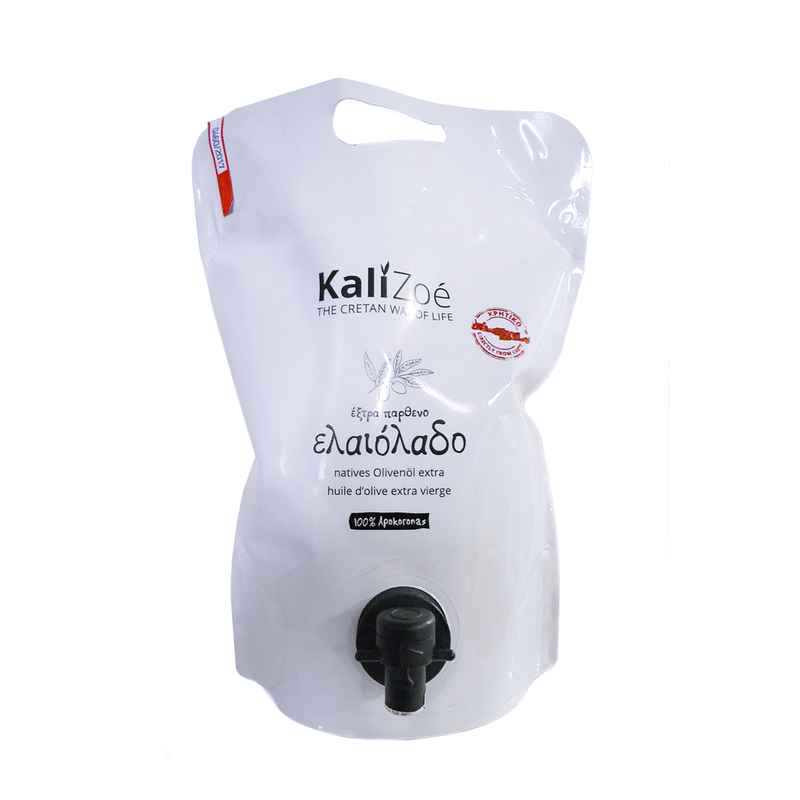 Superior category: olive oil obtained directly from olives and solely by mechanical means. 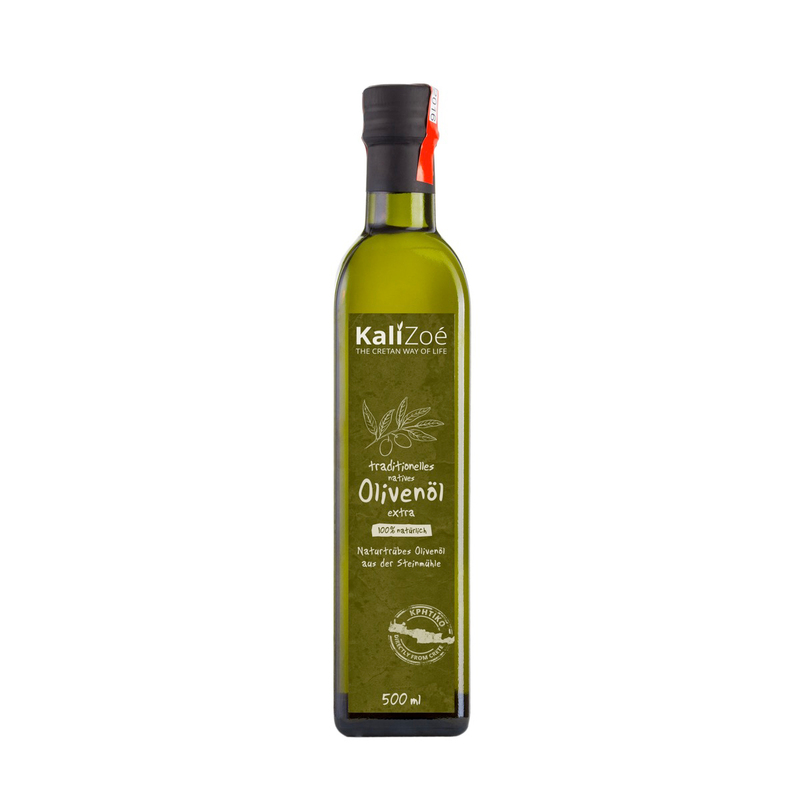 Olive oil obtained directly from olives and solely by mechanical means. Olive oil is a natural mixture of many Ingrediens. The composition of all these components allows the olive oil to have fascinating properties as anti cancer, anti bacterial and anti oxidant properties. Olive oil contains a high amount of mono-unsaturated fatty acids, which is why it is perfectly suitable for cooking. The mono-unsaturated fatty acids lower the LDL-cholesterol and raise the “good” HDL-cholesterol. Of course olive oil should also be consumed in moderation, but in average we use too little mono-unsaturated fatty acids. Many mono-unsaturated fatty acids can be found in olive oil, avocados, nuts and olives. These substances protect our cells from free radicals. The anti-oxidant DHPEA-EDA is found in extra virgin olive oil in very high concentration and protects our red blood cells very effectively from oxidative stress. The green color of plants gies the olives its green color. This substance can be found in high concentrations in unripe olives and gives the bitter taste to the olive. At the end of the ripening process the concentration of oleocanthal drops. This is why olives should be harvested early so that the oive contains high concentrations of oleocanthal. This substance has anti-inflammatory properties and kills cancer cells without harming healthy cells. What cannot be found in olive oil? Olive oil has many advantages. Some of them, because olive oil is naturally free from certain ingredients. Therefore it is more healthy compared to other oils. .
Olive oil is not only free from cholesterol, it has also a positive influence on our cholesterol level. The level of unwanted LDL-cholesterol is lowered, while the level of the wanted HDL-cholesterol is risen. Carbohydrates are often calles sugars. Olive oil is free from carbohydrates and suitable for a low-carb diet. 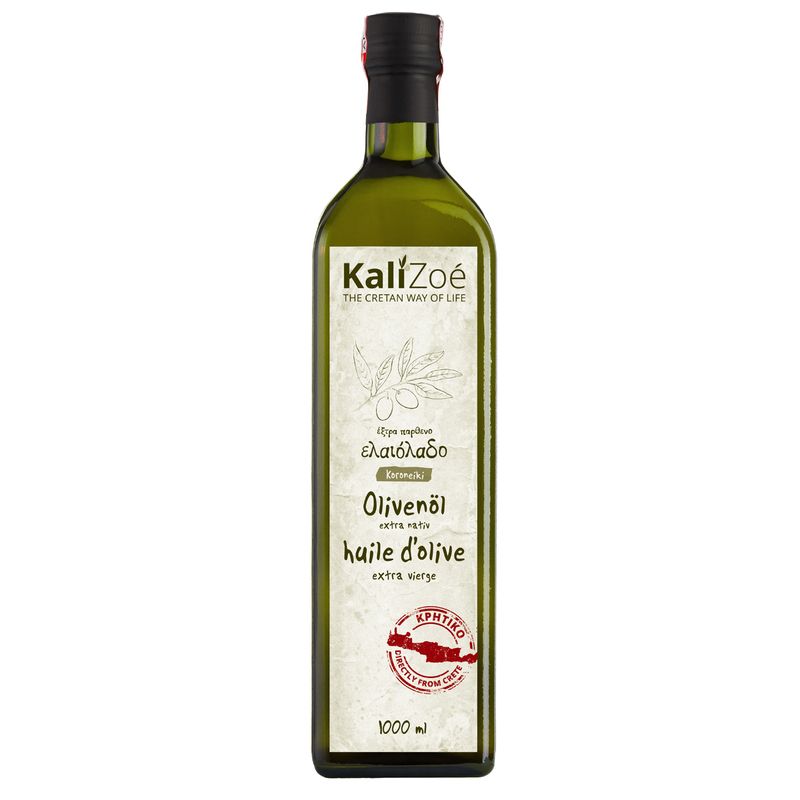 Olive oil cannot only be enjoyed on salads but is perfectly suitable for cooking and baking and gives your food the special mediterranean taste. Virgn and extra virgin olive oil can be heated up to 180°C. The oil is hot enough, when your wooden spoon forms little bubbles when holding it into the olive oil. When heating oils, generally, the smoke point should not be exceeded, wich is 190°C for olive oil. At this temperature the oil will start to smoke. 160-180°C is sufficiant for frying and cooking your food. Many oils have a high amount of poly-unsaturated fatty acids, which desintegrate into aldehydes at very high temperatures, which are associated with certain kinds of cancer. Olive oil has a high amount of mono-unsaturated fatty acids and less poly-unsaturated fatty acids. Therefore less aldehydes can be formed. Olive oil can be stored minimum for 2 years. It should be protected from light and stored at a cool place (not in the fridge). If olive oil gets too cold, it can focculate. The oil is not bad, it is only natural components from the olive skin, which get solid at low temperatures. They can be filtered from the oil or reliquified by heating the oil up tp room temperature.